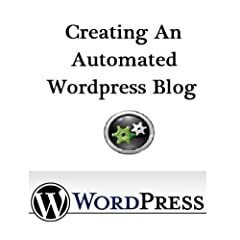 August 25th in Automated Blogging by Wordpress Jedi . If you are involved in the WordPress community on a daily basis, you have probably heard about all the buzz that WordPress Direct has generated. WordPress Direct is a WordPress auto installer that allows you to log on to your hosting interface and install and run multiple WordPress blogs with no problem. WordPress Direct product one key issue for bloggers, content generation. If you have a single blog that is making you a lot of money, you probably know how tough it is to keep providing good content on your blog to not only keep the users coming in, but also keep the search engines satisfied. WordPress Direct creators claim that you can get around this problem easily, so I decided to take a closer look to see what’s true and what’s not. We logged on to WordPress Direct website to figure out who we can achieve the hundred thousands of traffic that is apparently possible using this service. The promise of the service is simple: just set it or forget it. In fact, you can see the claim on the website: you pick a theme, you pick a keyword, and your blog will be updated with relevant content periodically (you can define the period). The good news is there is a free demo available. That will get you three website installations, which should be more than enough for us to figure out if this product is what it claims to be. So let’s jump in. Once you sign up, you are offered with two sales letters, which we found annoying to say the least. But the offers did look attractive on the paper. Once you get past those, you will see a dashboard that will show your current installed sites. The selection of themes available right out of the box is just impressive. Most of the themes are free themes, but a lot of them are rare, which make for great testing. Once you choose a theme and decide to install, you will get the option to choose your hosting account or allow WordPressDirect to host it for you using free web services. If you have accounts with Hostgator or Dreamhost, you can use WordPressDirect to install the WordPress on your web space automatically. But for testing purposes, we used the free account service. 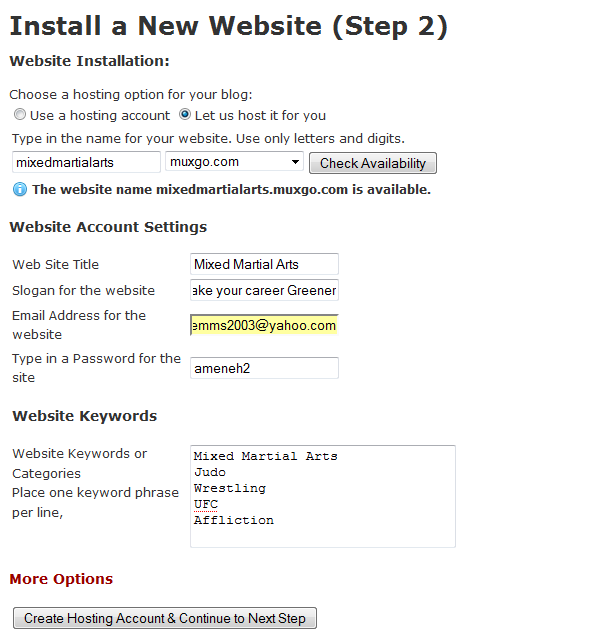 The word Mixed Martial Arts was available as the starting point for our domain. The system is sophisticated enough to allow us to enter the keywords that we want to target and the type of content that we want to post per keyword. Very interesting indeed! You can also put your Google Adsense and Google Analytics information into the system here. So far so good. 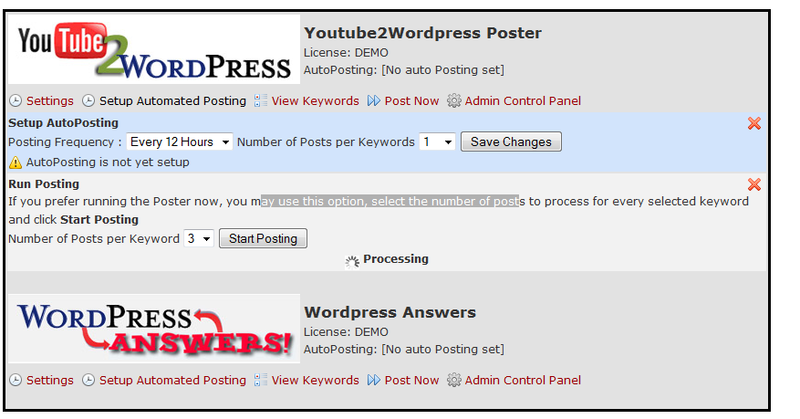 Once the installation is complete, you get the chance to setup the autoposter software (set the type of content you are looking for and the period in which you want posts to be sent to your WordPress blog automatically). So here is our site after posting a bunch of videos with WordPressDirect to it automatically. Best of all, we absolutely had to do nothing, and the whole process took about 3 minutes. You can post ezine articles, private label rights articles, and of course videos from YouTube, VEOH, and other sites to your blog if you decide to get a paid membmership. WordPress Updates: WPDirect was not using WordPress 2.6.1 at the time of our writing. It was using just the previous version, which maybe OK, but we would like the software to be using the updates sooner. DreamHost issues: While we had no trouble using the WordPressDirect service with our HostGator service, DreamHost was not fully compatible with it. We have been told that this issue is going to be fixed soon. No support for GoDaddy or 1&1. I like HostGator but not everyone has it. Support for other hosts are essential at this point. Presentation Issues: depending on the type of content that you choose to post and the theme that you choose, some posts may not get shown properly. You can go in and edit them one by one, but it would look more professional. Cost: The cost for the best WPDirect Plans are just too high. You may be able to justify $200 a month for a system that allows you to automatically manage 100 blogs, and depeding on the niche you choose, you may actually make it work. The free service is great. The next lever, Silver, is also affordable. But after that, we pretty much get to the expensive category. Verdict: 4.25 out of 5 stars. The system is perfect. We had to do nothing to start a blog with comments and content in under 3 minutes. The posts were sent to our blog automatically. This service can be a powerful link-building tool as well. But the high cost as well as minor glitches, doesn’t justify a 5 for 5 score for this product. But right now, WordPress Direct is the best automated WordPress blogging system.